The Spring HIll Community Library (now The Spring Hill Public Library) was the direct result of a community’s desire for a library and their willingness to work toward that goal. 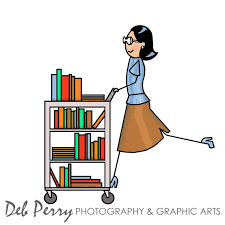 With the leadership of Mrs. Fred (Patricia) Selle the library opened its doors. Mrs. Selle bought the first building that housed the library and the city rented the property for $30.00 a month. The city provided $2,500 in initial funding, 2000 books were donated by the Blue Grass Regional library, furniture and shelving were donated by individuals in the community and volunteers renovated the building. A Ruling Board was formed which later became the Friends of the Library. In 1975 The Friends of the Library opened a bank account at First Farmers and Merchants Bank and began over 40 years of service to the Spring Hill Public Library. As the library moved from its first home, to the building that now houses Jimmy’s Cleaners, to a temporary facility on Mahlon Moore, to the current facility at 144 Kedron, the FOL has been there to help. Through the years small, dedicated groups of supporters have volunteered time and talent to the library. Whether it is covering books, shelving books, cooking meals to show appreciation to the staff, honoring birthdays, helping decorate the library for holidays or raising money to provide needed items and programing FOL members have done it all. In the early 1990’s a monumental effort started to gather stories from current and former residents who grew up in Spring Hill. The result was the publication in 2002 of a book – Spring Hill-Everybody Has a Story. While the initial printing of the book sold out some time ago a copy is available and can be checked out at the library. Through the years the Friends of the Library has sponsored a variety of fundraising efforts. Square dances in earlier days to rummage sales to book and print sales to our current quarterly and permanent book sales. We have raised thousands of dollars and have donated thousands of dollars to the library to supplement the city funded budget. With the proposed renovation of the new library the Friends of the Library joins with the city, the staff and the patrons to ensure that our library remains “a window to the world and an inspiration to explore through reading and research” for future generations.